Marcello Lippi is an undisputed legend in football. Not only was he the mastermind behind Italy’s 2006 World Cup success – at a time when the country needed sporting joy the most – he’s had a colossal impact at club level, inspiring teams to unprecedented glory and developing players to compete at the highest level. One man who he coached at domestic and international level saw his career change dramatically thanks to the stern, cigar-smoking manager; a change that made him one of the best in the world in his position. That man is Gianluca Zambrotta. Born in Como, Lombardy, Zambrotta started his career with hometown side, ignoring the two Milan giants nearby. Joining the senior side at the age of 17, he made just one appearance in Serie B before the club was relegated to Serie C1, where he was a regular starter on either wing in a small but impressive squad. 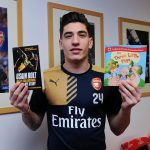 Over two seasons in the third tier he made nearly 50 appearances and scored six times, justifying his decision to go for the lower league side, where he was certain to win more minutes on the pitch and build his reputation. After just two years in the third tier, his performances and potential were recognised as he bypassed Serie B and headed straight to the top-flight with Bari. A versatile footballer, even in his younger days, his manager, Eugenio Fascetti, used him in a variety of roles ranging from either flank at full-back or on the wings, making full use of his skillset and adaptability. Still only 19 at the time of his Serie A debut, he made 27 appearances and attracted many suitors in Italy, but chose to remain at the Stadio San Nicola, favouring personal growth over silverware and a pay rise. During the following campaign, he opened the season with a goal against Venezia, bagging another against Cagliari and one in a famous 3-2 win over Internazionale. There was a striking similarity in Zambrotta’s first five Serie A goals over the next two seasons, with his intuition and smart movement seeing him find space in open areas, away from danger and unmarked, leaving him with just the goalkeeper to beat. His ability to make angled runs in from wide was a defining feature of his play. Seeing his rapid development, it was clear in Italy that this was a player destined for the biggest stage, with assists nicely supplementing his knack of scoring the odd goal. Indeed, after winning his first Italy cap, becoming the first Bari player in over 50 years to don the famous Azzurri shirt, his stock was rising. As a result, Carlo Ancelotti’s Juventus struck a deal in January 1999 to bring him to the Stadio delle Alpi in July that year. The fit was perfect for Zambrotta, with Juve needing a wide player who could add consistency and versatility as they looked to rekindle the glories of the 1990s under Lippi. Upon his arrival in Turin, Ancelotti used him in a variety of positions, not least as a box-to-box midfielder, a role he’d rarely played in his career. 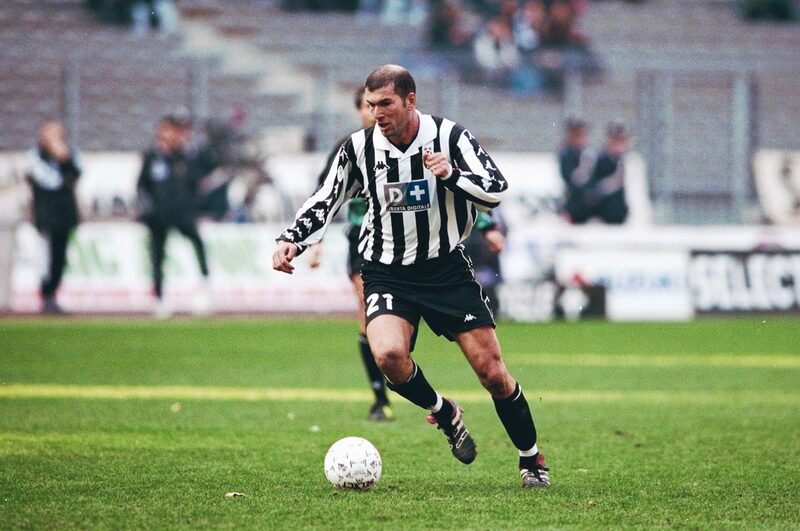 He was often paired in the middle of the park with Alessio Tacchinardi or Igor Tudor, and gave it the legs required to move around and win the midfield battles. However, while his importance was undoubted, winning the fans over with his never-say-die attitude, he failed to add any silverware to his still-empty trophy cabinet as the Bianconeri lost the title on the last day of the season, partly due to Zambrotta. 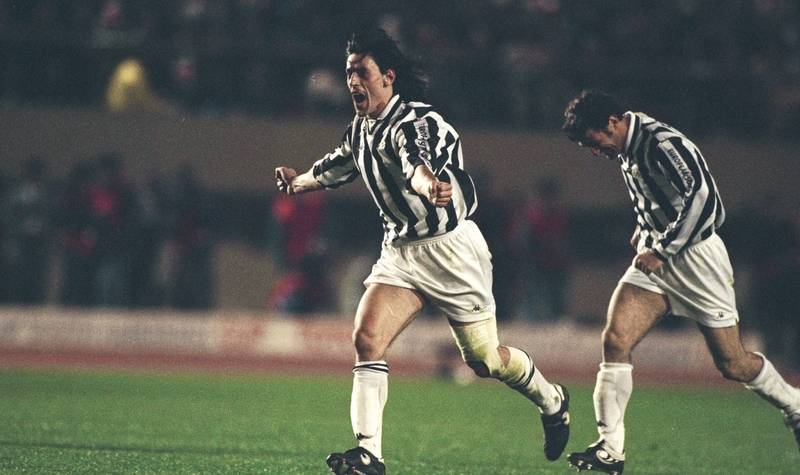 In the great Serie A title race of the 1999/2000 season, Juventus were in the running with Lazio for the Scudetto. With a win needed against Perugia on the final day and the men from the capital 3-0 up against Reggiana, Zambrotta was brought on as a second-half substitute to inspire the attack. The plan backfired, though, as the former Bari man was given his marching orders by the incomparable Pierluigi Collina. In his absence, Juventus went on to lose 1-0 and throw away their hopes of the title. It marked a nadir in the fledgeling career of the defender. The next season would prove similarly frustrating with another capital club, Roma, marking an era of southern glory by lifting the title. Alongside an exit during the group stage of the Champions League, Carlo Ancelotti was relieved of his duties as Lippi, considered by some to be the club’s greatest manager, returned to the Stadio delle Alpi. Lippi’s arrival coincided with that of Lilian Thuram, arguably the world’s best right-back, which meant Zambrotta was often deployed on the left. With Gianluigi Buffon and Pavel Nedvěd also joining – the latter to replace Zinedine Zidane – hopes were high that 2002/03 would be the Old Lady’s year. Unlike Ancelotti, Lippi trusted Zambrotta in one position, using him as the left wing-back to hold width and cut inside, freeing Nedvěd to cover on the flank for him. With Cristian Zenoni on the other flank and Thuram, Paolo Montero and Gianluca Pessotto at centre-back, Juventus had a Scudetto-winning defence at their disposal. It panned out exactly as many predicted with the goals of David Trezeguet and Alessandro Del Piero firing Juve to the title ahead of Roma and Inter. Despite a notably poor Champions League campaign again, Zambrotta’s consistency had elevated him to one of Europe’s best wing-backs and he was duly rewarded with a seat on the plane to Korea and Japan for the World Cup. Zambrotta’s international performances had been just as consistent as his domestic. Having made his debut while at Bari, he featured heavily in Italy’s run to the final of Euro 2000 but missed the big game itself after being sent-off in the semi-final win over the Netherlands. Now under Giovanni Trapattoni, he would have his first taste of World Cup football. In the Far East, Zambrotta was a frequent feature in Trapattoni’s side, playing in all three group games, two as a right-sided midfielder, and one as a right wing-back. The experienced coach opted for a strong defensive core of Christian Panucci, Alessandro Nesta, Fabio Cannavaro and captain Paolo Maldini, and his desire to accommodate the tenacity of Zambrotta forced him to play the Juventus man higher up the pitch. Italy were inconsistent, however, qualifying from their group as runners-up after accumulating four points. What seemed a reasonable tie against South Korea would prove a national disaster – and a personal one for Zambrotta – as the Azzurri crashed out, with the Juventus man leaving the pitch injured and deflated in the second half. 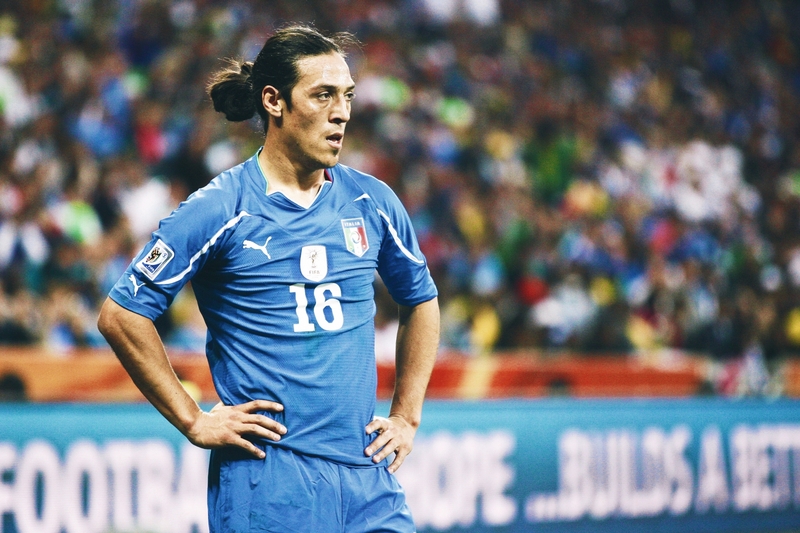 Back at Juventus, Mauro Camoranesi had joined. Though more skilful than Zambrotta, he offered similar characteristics. A good crosser of the ball and just as energetic and versatile, when Lippi brought him in to remedy Zambrotta’s post-World Cup injury absence, there was a considerable fight for starting positions. For the former Bari man, it was a case of adapt or die – and that suited him perfectly. Another successful season ensued. Juventus strolled to their second successive Scudetto with relative ease, in the end finishing well clear of their nearest rivals, but it was in Europe where they were most prominent. Coming through two tough group stages, the Bianconeri improved as the competition went on. In the quarter-finals they overcame Barcelona, and in the semis, they beat Real Madrid in what was Zambrotta’s most memorable showing. Giving Roberto Carlos all sorts of problems on the right of midfield, Juve’s progress saw them secure a showdown against AC Milan, now led by Ancelotti, in the final. Back on the opposite flank against the Rossoneri, this was arguably the worst Champions League final in recent memory. Both teams provided immense entertainment on their way to Old Trafford, but when the grandest stage presented itself, they reverted to type, displaying all the characteristics that made calcio frustrating to watch in previous years. It resulted in the match heading to penalties; at least providing some sort of entertainment to the tepid night’s viewing. Andriy Shevchenko – to prove the villain three years later – would decide the tie to hand Milan the title and deny Juventus a chance to stake their claim as the continent’s best again. For Zambrotta, after a season in which he was one of Juve’s most consistent players, it was a devastating loss. The following year would prove to be Lippi’s last in Turin, and with reason. Injury problems resulted in Zambrotta filling in across the park, with an early exit in Europe compounded by a third-place finish in Serie A. It would kick-start a period of turmoil at the Delle Alpi. Lippi’s replacement, Fabio Capello, made drastic changes to his underperforming squad, seeing his side win the next two Scudetti before they were taken away following the Calciopoli scandal. Juventus were subsequently relegated to Serie B, their reputation in tatters, with various players heading for the exit. With the need to sell players to raise some much-needed funds following their demise, Zambrotta allegedly submitted a transfer request. While the finers details are still shrouded in mystery, the defender has stated that the club sold him to raise funds and that he never asked to leave. Either way, the Juventus fans were incredulous with his decision to abandon the club, and many to this day have yet to forgive him. Away from the madness at home, Italy would begin their preparations for the World Cup in Germany. With the dark cloud of Calciopoli hanging over their heads, it would take mental fortitude of the highest order to achieve glory – and most believed the Azzurri would succumb to the pressure. With Lippi in charge – one of Zambrotta’s greatest fans – his regular position during qualification at right-back would be switched to the left for his first appearance of the tournament in matchday two. In the second round against Australia, Italy were troubled but came out with a win through a late Francesco Totti penalty. It was the quarter-final against Ukraine, though, that really saw Zambrotta stand out. In a game that saw him play on both the right and left, he scored a fine opener before helping Italy progress with a crucial goal-line clearance in the second period. In Dortmund against Germany, it was a starring role in a dramatic game from Zambrotta’s captain and teammate in the back four, Fabio Cannavaro, that helped Italy pull off a late show to score twice and eliminate the hosts, making it to the World Cup final for the first time since 1994. In the final, a mistimed tackle from Marco Materazzi handed France a penalty, with Zidane easily converting, before Materazzi levelled the game. In what would prove to be an iconic final, thanks in part to Zidane’s sending-off, the game would head to penalties, where the Azzurri would eventually triumph, ending a 24-year wait for the title. Unfancied when the first ball of the tournament was kicked and champions just after the last was hit with fury, Italy had made history in the German capital. On the fringes at Juventus, Zambrotta played his part brilliantly and his performances were rewarded with a place in FIFA’s All-Star team. He would later make it into the FIFPro World XI – a worthy accolade for a player at the peak of his powers. Following the success in Germany, Zambrotta put an end to his Juventus career, moving to Spain where European champions Barcelona completed the double signing of the Italian and Thuram. Over the next two years, he was unable to replicate the consistency of his Juventus days as Frank Rijkaard’s team began to stutter, eventually resulting in one Pep Guardiola being elevated to the dugout. Zambrotta would be shipped off to AC Milan in 2008 after 80 appearances and just a Supercopa de España to show for it. Back in Serie A, and back in Lombardy, he would rediscover prime form. A consistent feature under Ancelotti, Leonardo and Max Allegri, he would shake off injury worries and, with the help of the famed Milan Lab, find consistent playing time, first on the right and then on the left under Allegri after the emergence of Ignazio Abate. At the time, Zambrotta was still a key player in the national side, but to no success. Euro 2008 saw a quarter-final exit to eventual winners and new superpower Spain after a penalty shootout, while the World Cup in South Africa two years later witnessed Italy crash out in the group stages as Lippi’s team struggled with injuries and an ageing squad. With 98 caps to his name and a place in calcio folklore secure, Zambrotta retired from international duty soon after. Back in Milan, he would add a third Scudetto to his honours list in 2011, displaying a less dynamic but more mature game as the Rossoneri transitioned into a period of turmoil. He left the club in 2012, moving into management at the age of 37, first with Swiss side FC Chiasso, then in India with the Delhi Dynamos. 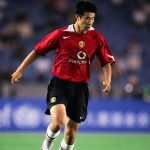 He would also spend a short time as assistant to Fabio Capello at Jiangsu Suning in China, demonstrating a clear desire to spend the next portion of his line manning the touchline – this time, just a few feet on the other side. Despite his shift into management, his career as a player will take some beating. 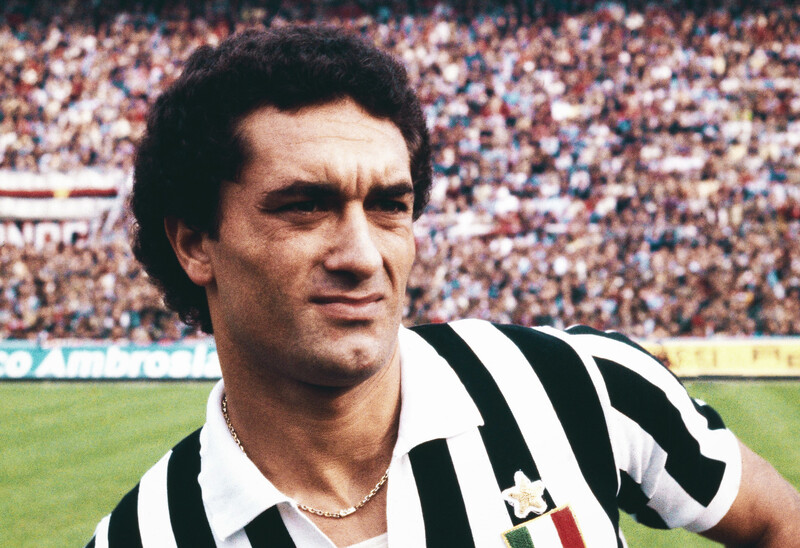 Widely regarded as one of the best Italian full-backs of the modern era, his versatility was important to every manager he worked under, ensuring he was a vital cog at the major clubs he represented. An excellent crosser, tireless runner, all-round winner and intelligent defender, there are few full-backs like Gianluca Zambrotta left in the game today.